Global Automotive Plastic Parts Market Professional Survey 2019 by Manufacturers, Regions, Types and Applications, Forecast to 2024 | Market Research Reports® Inc. Global Automotive Plastic Parts Market Professional Survey 2019 by Manufacturers, Regions, Types and Applications, Forecast to 2024 report is published on April 12, 2019 and has 156 pages in it. This market research report provides information about Components, Automotive industry. It covers Global regional market data and forecasts. It is priced starting at USD 2,600.00 for Single User License (PDF) which allows one person to use this report. In this report, we analyze the Automotive Plastic Parts industry from two aspects. One part is about its production and the other part is about its consumption. In terms of its production, we analyze the production, revenue, gross margin of its main manufacturers and the unit price that they offer in different regions from 2014 to 2019. In terms of its consumption, we analyze the consumption volume, consumption value, sale price, import and export in different regions from 2014 to 2019. We also make a prediction of its production and consumption in coming 2019-2024. At the same time, we classify different Automotive Plastic Parts based on their definitions. Upstream raw materials, equipment and downstream consumers analysis is also carried out. What is more, the Automotive Plastic Parts industry development trends and marketing channels are analyzed. 1. What is the global (North America, South America, Europe, Africa, Middle East, Asia, China, Japan) production, production value, consumption, consumption value, import and export of Automotive Plastic Parts? 2. Who are the global key manufacturers of Automotive Plastic Parts industry? How are their operating situation (capacity, production, price, cost, gross and revenue)? 3. What are the types and applications of Automotive Plastic Parts? What is the market share of each type and application? 4. What are the upstream raw materials and manufacturing equipment of Automotive Plastic Parts? What is the manufacturing process of Automotive Plastic Parts? 5. Economic impact on Automotive Plastic Parts industry and development trend of Automotive Plastic Parts industry. 6. What will the Automotive Plastic Parts market size and the growth rate be in 2024? 7. What are the key factors driving the global Automotive Plastic Parts industry? 8. What are the key market trends impacting the growth of the Automotive Plastic Parts market? 9. What are the Automotive Plastic Parts market challenges to market growth? 10. What are the Automotive Plastic Parts market opportunities and threats faced by the vendors in the global Automotive Plastic Parts market? 1. To provide detailed analysis of the market structure along with forecast of the various segments and sub-segments of the global Automotive Plastic Parts market. 2. To provide insights about factors affecting the market growth. 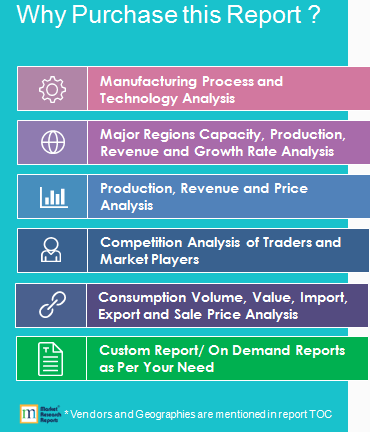 To analyze the Automotive Plastic Parts market based on various factors- price analysis, supply chain analysis, Porte five force analysis etc. 7. To track and analyze competitive developments such as joint ventures, strategic alliances, mergers and acquisitions, new product developments, and research and developments in the global Automotive Plastic Parts market. A bias tire consists of multiple rubber plies over lapping each other. The crown and sidewalls are interdependent. The overlapped plies form a thick layer that is less flexible and more sensitive to overheating. A bias tire will have a stiffer sidewall and shoulder, which will increase heat buildup in the tire. On a bias tire, the cords run at a 32 degree angle from the direction of travel.The B, C, and D is the load range of a tire. This is the maximum weight that the tire can carry at a specified maximum load inflation. The B is a 4-ply rated tire, the C is a 6-ply rated tire, and the D is a 8-ply rated tire. The load range is stamped on each tire and right after the load range letter is the maximum weight at maximum psi for that tire. The load range weight capacity will also vary depending on the size of the tire. Trailer tires will always need to be inflated to the maximum psi that is specified on the tire. A high-performance electric motorcycle is propelled purely by electricity and is equipped with advanced electric motorcycle powertrain components and Li-ion batteries that have high energy density. Usually these sporty bikes have a top speed that exceeds 30 miles per hour. In our report High-Performance Electric Motorcycle refer to the electric motorcycle which power output exceeds 3hp. The global High-Performance Electric Motorcycle industry has a rather high concentration. The major manufacturers are concentrated in North America, Europe, China, Japan and India. Bias Tire market is expected to grow at a CAGR of roughly -3.4% over the next five years, will reach 3.54 Billion USD in 2024, from 4.36 Billion USD in 2019. High-Performance Electric Motorcycle market is expected to grow at a CAGR of roughly 1.4% over the next five years, will reach 1.17 Billion USD in 2024, from 1.08 Billion USD in 2019. Golf Cart and NEV are used by golfers to carry heavy golf clubs and equipment. They are also used for daily commuting needs over short distances. Golf Cart and NEV are usually gasoline-powered or electric, but recently solar-powered Golf Cart and NEV have also been developed. Electric Golf Cart and NEV have more preference among consumers. Golf Cart and NEV come in a wide range of formats and are more generally used to convey small numbers of passenger short distances at speeds less than 15 mph (24 km/h) per ANSI Standard z130.1 as originally manufactured. They are generally around 4 feet (1.2 m) wide × 8 feet (2.4 m) long × 6 feet (1.8 m) high and weigh 900 pounds (410 kg) to 1,000 pounds (450 kg). Most are powered by 4-stroke engines.